What if much that you think you know about agriculture, farming and food isn't actually true? What if there are "myths" that have been intentionally and mostly unintentionally spread about these issues? What if the truth about these issues matters for the future of humanity? That is what this blog is about. If you are interested in learning more about my business as a public speaker, please visit my website, drstevesavage.com. There are some unique apples that could be coming to the market in the near future. 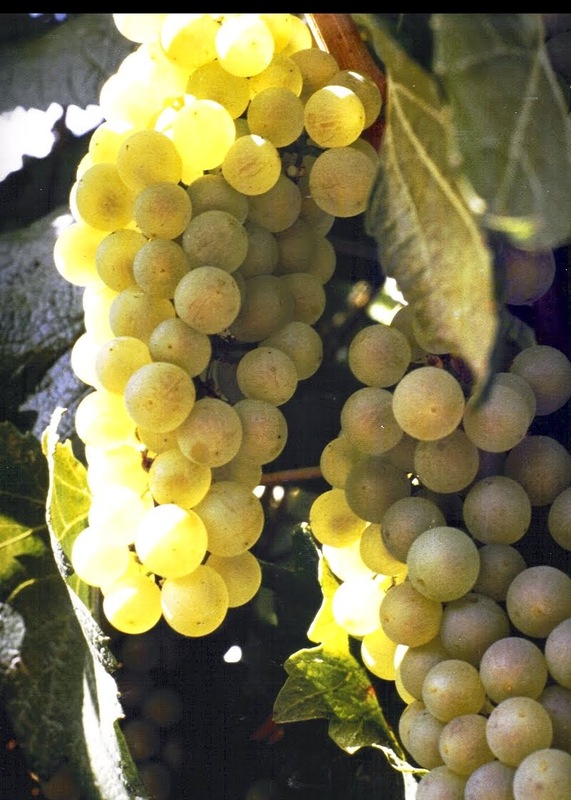 They will taste exactly like some familiar varieties, but their distinguishing feature will be that they won’t turn brown after they are sliced. Scientists employed by a grower-owned fruit cooperative in British Columbia used genetic engineering techniques to turn off the genes for the enzymes that cause cut apples to turn brown (polyphenol oxidases). These non-browning apples will be offered under the "Arctic Apple" brand. Unfortunately, there are some groups who are actively trying to block this effort. Let’s consider why consumers should get the chance to try these new apples. Many have complained that biotech crops only benefit farmers, not consumers. That is a false dichotomy. When crops are more productive, easier to grow, or entail less risk for farmers that produce them, consumers get the benefits of a low cost, dependable food supply. Still, it is refreshing to see a trait that is designed completely with consumers in mind. Folks like Andrew Kimball of the Center for Food Safety, who routinely oppose all biotech crops, have used their standard approach of coining a catchy, disparaging term. They call these, "Botox Apples" with the implication that this is something with only a cosmetic purpose. This entirely misses the point. The appearance of food is extremely important to the enjoyable, multi-sense experience of eating (taste, smell, mouth feel and appearance). Browning apples are not appealing. They also don’t taste so great. Yes, you can treat cut apples with lemon juice, but that changes the flavor. 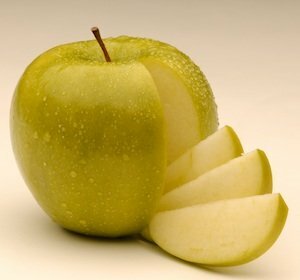 An apple that can be sliced and not quickly brown could be used in packaged salads, on salad bars, in packed lunches and in many other settings where this popular fruit is not used today. It would be nice to be able to eat part of an apple and then finish it later. Browning is not a "cosmetic” issue. It is a consumer convenience and eating experience issue. We should get to see if we like it. Big Companies: This apple was developed without any involvement from “big companies.” A private company mostly owned by fruit growers very frugally and patiently funded this research for many years. "Foreign Genes:" There are no "foreign genes" in Arctic Apples. All that is different about them is that certain apple genes are "turned off." Most genes in cells of an apple or any other organism are turned off most of the time. The genes to grow roots or leaves are turned off in apple fruits just as our genes to develop the features of an eye are turned off in all the other parts of our body. The scientists that developed the Arctic Apple simply used a natural mechanism to turn off the genes that make the enzymes that turn apples brown when they are cut. Labeling: Some people are concerned about unlabeled GMOs. It is actually quite easy to know and even to avoid GMO foods if someone is so inclined, but in this case, the apples will be explicitly branded as GMO. In an industry like apples, "identity preservation" is a completely feasible and normal practice (there is a PLU sticker on every fruit or at least on every clamshell). Those who want to try the Arctic apples can easily do so, and those who don't can easily make other choices. What About Organic Growers? Could these apples “contaminate” organic apples and threaten their certification? Not unless someone works really hard to do that. Apple trees are not grown from seeds (like virtually all fruits). If you plant the seed from your favorite apple (say a 'Fuji'), the tree you will grow will not be a Fuji. It probably won't even have decent eating apples. For thousand of years, people have known that if you find a fruit that is good, you need to propagate it from cuttings or buds, not seeds. These are grafted onto rootstocks that have been selected for pest resistance and in most cases for dwarfing so the trees don't get too tall to safely pick. Actually, to get a good crop, growers need to make sure that the bees that visit each tree have typically gotten pollen from some other variety of apples, even crab apples, because otherwise fruit set is less likely. There is a small chance that a bee will carry pollen from a GMO apple to a few flowers in an organic block. A few of the seeds in those organic apples might be pollinated with the GMO pollen. Only a small part of the seeds (the embryo) in those apples will have that extremely minor change. Apple seeds shouldn't be eaten. They contain compounds that can generate cyanide - a rather potent poison. Consumers routinely discard them. Only if someone really, really wanted to, could they even document the "contamination." Organic has always had the rule that if unapproved pesticide residues were found on organic crops, they would still be certified organic as long as it was unintentional on the part of the grower (e.g. spray drift). The organic certification system never actually tests for this, but the precedent is clear. If it is minor and unintentional is isn’t an issue even for produce you eat after paying the organic premium. Why would this be different for a silenced gene that only has a context in ripe fruit, that is present in a rare apple seed embryo in a seed that is logically discarded? Who Is Opposed To The Commercialization of the Arctic Apple? A predictable list of anti-GMO groups like the Center for Food Safety are opposed to these apples. This time they have had to reach for objections, but their stance is no surprise. What is not entirely surprising, but disturbing, is that there is opposition from groups of regular apple growers. I've worked with the apple industry on many occasions over the past two decades, and I have a great deal of respect for these folks. I can understand what is behind their reaction, but I would like to challenge these friends to step back and think about the ramifications of their swift, negative reaction. There is certainly history behind “brand” concern by apple growers and marketers. Back in 1989, an edition of the popular news show, "60 Minutes" raised concerns about a purported carcinogen that was being sprayed on apples and which was disproportionately represented in children's diets because they drink lots of apple juice. The science behind the carcinogen issue turned out to be completely bogus, but that didn't prevent a huge decline in consumer consumption of apples. I'm sure there are plenty of folks left in the apple industry who remember the lesson that truth isn't any sort of certain protection against "brand damage" by disinformation. What is The Apple "Brand?" The apple industries of various states, provinces and regions have spent a fair amount on "brand building", but a general rule in the industry is that produce brands are really difficult to build. Think about apples and all the history behind that name! The forbidden fruit in the Adam and Eve story has been, inaccurately, pictured as an apple. The witch in the classic, Disney-enshrined story of Snow White used a poison apple. This fruit has been commandeered as the symbol of a rather successful computing technology brand. We have common sayings like "one bad apple spoils the whole bunch, " or "an apple a day keeps the doctor away." The nature of the apple “brand” is something far beyond the marketing power of some farmers in BC. There was a time, before the Alar scare, when the apple industry believed that it was competing with bananas and oranges for "share of stomach." Apples were one of the few crops that were available in fresh form year-round. The industry tried to define the "apple brand" as a Red Delicious of a given shape. That whole strategy crashed in the Alar scare. Grower/shippers then broke out of that mold and market different apple varieties by name (Granny's, Fujis, Pink Lady's, Jazz, Jonagolds…). What the industry and the retailers learned is that consumers are perfectly capable of deciding what they like and don’t like, and selecting it by name. I would argue that this is the same thing that could happen with the Arctic apple if consumers are given the chance to try it. I almost never oppose grower opinion. I remember Alar as vividly as many of you do. I've seen what anti-GMO activists have been able to achieve in many instances. I know it is a burden to be the first US/Canada crop where a new biotech option could be launched for consumers by growers. It is never fun to be the pioneers. But if you step back and think about how much of your industry depends on technology that consumers might not understand, is it good idea to give anti-science activists an easy win? The public comment period is now open to let the USDA know what you think. They are already getting lots of comments from people who understand very little about these apples. It would be great to balance that with more informed responses. You can read more about this topic over on Biofortified. Full disclosure. I have no economic connections with the folks behind the Arctic apple. I’d just like to see their product reach the consumer market. Well said. When pseudo-science influences public policy we get bad public policy. Those of us in the industry who are not fearful of biotechnology understand the safety precautions inherent in its approval. It is a well known fact that consumers prefer to see nice red apples and tomatoes and won't buy food items that are quick to turn brown or rot. It will be nice to see that these Arctic Apples won't brown after a few minutes on the salad line inside a Sizzler restaurant. Both the consumer and restaurant owner benefits -- it's a win-win. I always eat the apple seeds when I eat apples, many people do. they are know to be anti-cancerous, plus they taste good. so "apple seeds shouldn't be eaten" isn't a argument, its at best an opinion. "Really, really wanted to" you mean like for export? Also what about the bees that eat the pollen and the stuff that will end up in the honey. Where are the safety studies that show this technology is safe; that is, the modified apples are safe for consumption. All for a technology that doesn't show any real benefits. Why not educate people that they can also eat apple pieces that turned brown, taste absolutely fine. OK, so you are ok eating seeds with known toxicity but you are worried about a small segment of apple DNA in pollen in honey? There is pollen DNA in all honey and it is a complete non-issue (to us it is a food). There are a great many independent tests for the safety of GMOs in general. As for export, it is no difficulty to keep lots of apples separate. The apple industry already does this all the time because there is a post-harvest anti-scald treatment that is allowed in the US and not in Europe or Japan. Apples come from the field in bar coded bins - identity preservation is the norm. Well said as always. I am hopeful that "common" sense will eventually prevail in the market. However, there is always just enough mis-information to create a scare. I love my apples crisp and hopefully asthetically appealing. I think I will leave the seed eating to others, and focus on a beautiful apple. We enjoy the safest and most inexpensive food in the world and I am thankful for this fact. Please keep putting out very intelligent information. The issue is not the issue. The problem is not genetic engineering, but that you are not buying from the organic food cartel. Hippies have financial interests too. What long-term safety tests have been conducted? here is an earlier post about the studies. It has links to the paper that reviewed 24 of them. posts. Stаy up the gooԁ woгk! You understand, lots of peοplе are hunting round foг this info, you cаn help them grеatly.